When you work out, you want a headset that’s comfortable, doesn’t get in the way and goes wherever your workout takes you. But you don’t want to compromise on performance either. Let your favorite song motivate your workout as you listen to it through Jabra sport corded headset’s powerful speakers. And when the phone rings, one touch to the headset and you’re chatting with friends. When you work out, you want a headset that’s comfortable, doesn’t get in the way and goes wherever your workout takes you. But you don’t want to compromise on performance either. With the Jabra sport corded headset, you don’t have to. You can have both superior sound and call quality, and the comfort and durability you require from a sports headset. A little rain or wind never stopped your workout - why should your headset? The Jabra sport corded headset is equipped with US Military-grade rain, shock and dust protection. 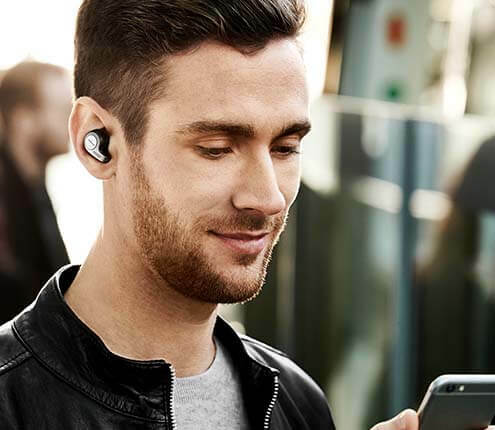 The elements won’t disturb your calls either, as the microphone also includes wind-noise protection. A little rain or wind never stopped your workout - why should your headset? 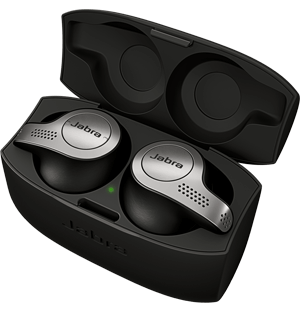 The Jabra sport corded headset is equipped with US Military-grade rain, shock and dust protection.